By 1964 practically every worker in Brazil wore a pair. 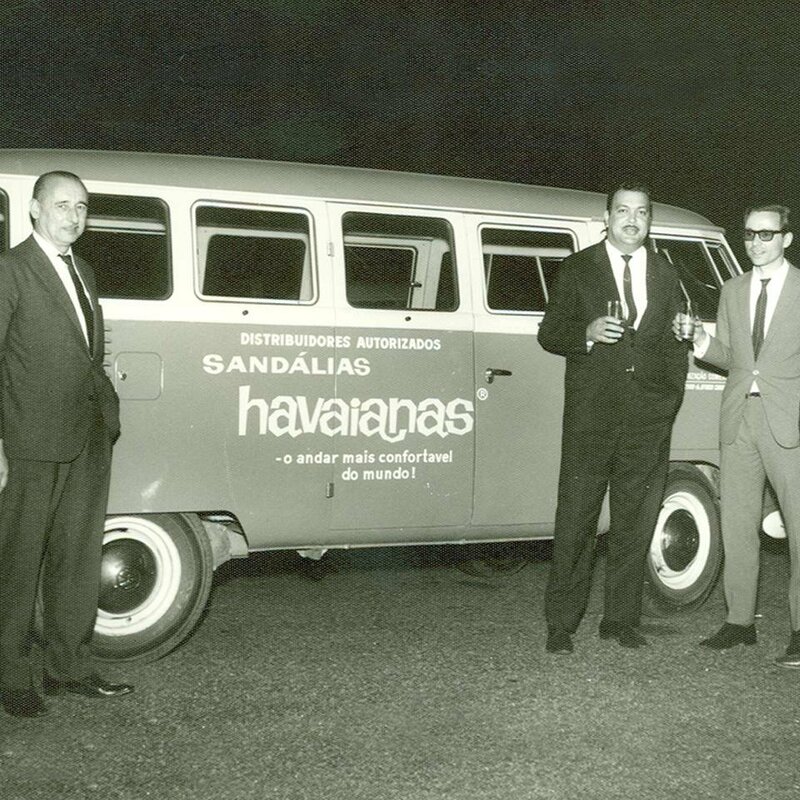 Traveling salesmen in their vintage Volkswagen vans would take Havaianas throughout the countryside cities in Brazil and sell Havaianas directly from their vans. The vans were always greeted with excitement and Havaianas were distributed in simple plastic bags. 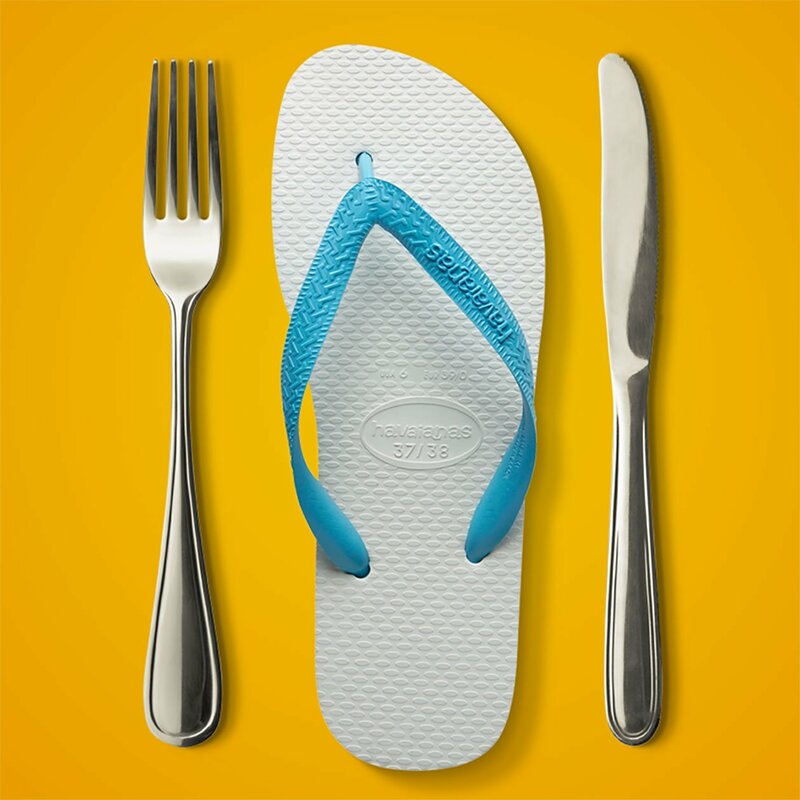 Havaianas are truly the original rubber flip-flop. 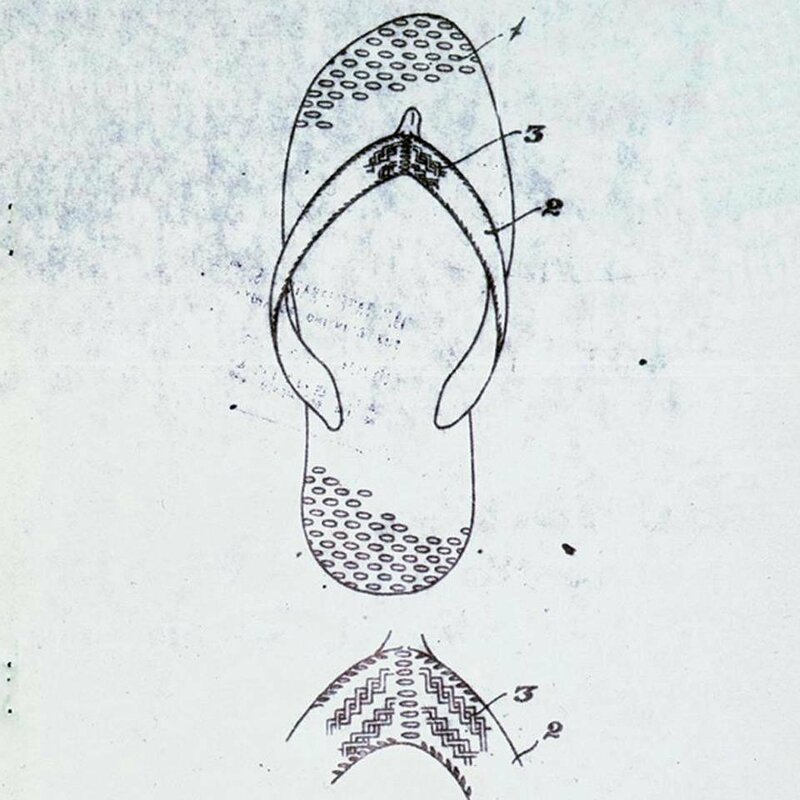 In 1966, Havaianas’ parent company Alpargatas registered the patent of the model— “a new type of sole with a strap”. 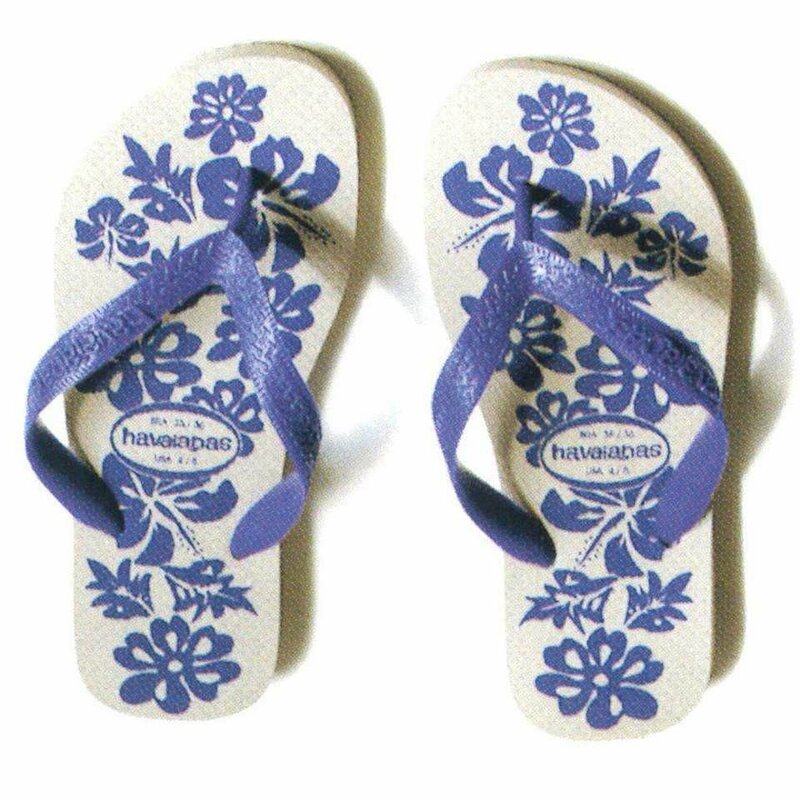 Havaianas were traditionally only available in blue and white. However, a production error produced a batch of green Havaianas, which ended up hitting the marketplace. 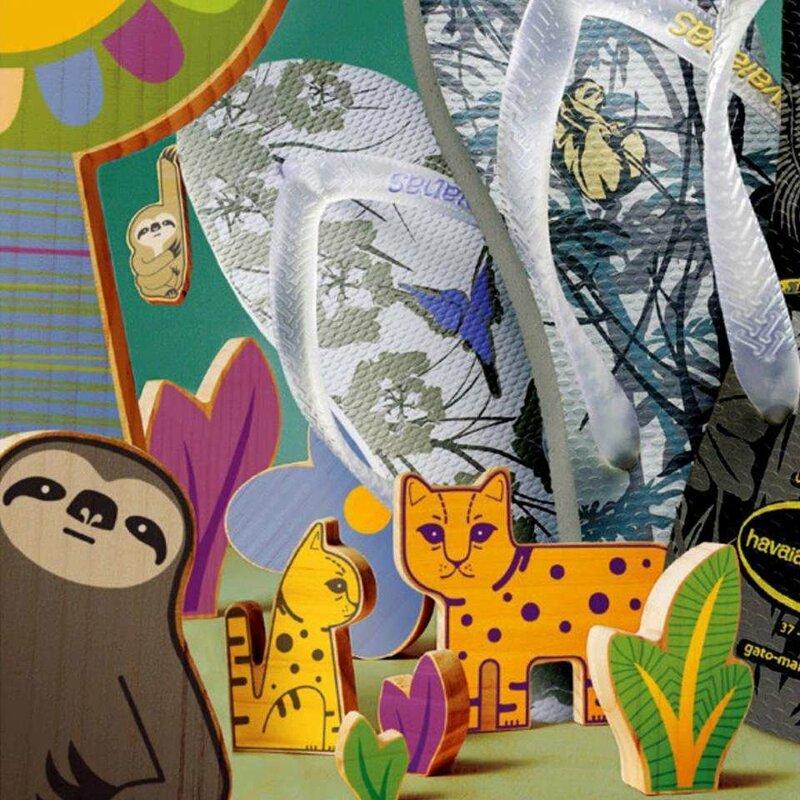 The reaction was so positive that Havaianas seized the opportunity and started producing brown, yellow and black pairs. 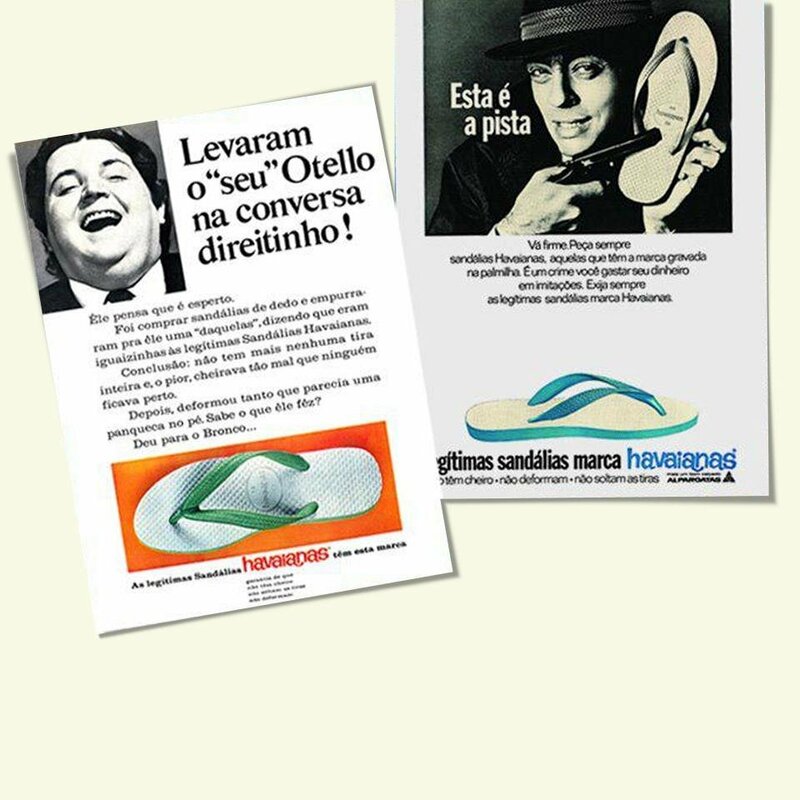 The 70’s hippie movement of love and peace and purging of your excess materials helped to move Havaianas even further as youngsters and those more political in Brazil joined the movements—wearing Havaianas of course. 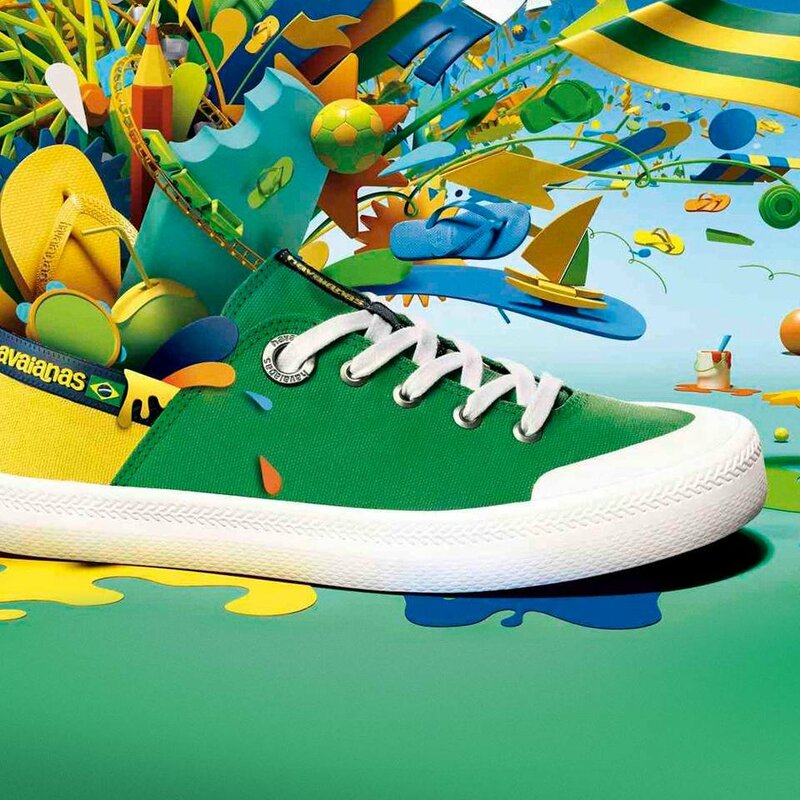 Havaianas innovates its communication and launches a fun, new campaign to bring the brand to life—literally. 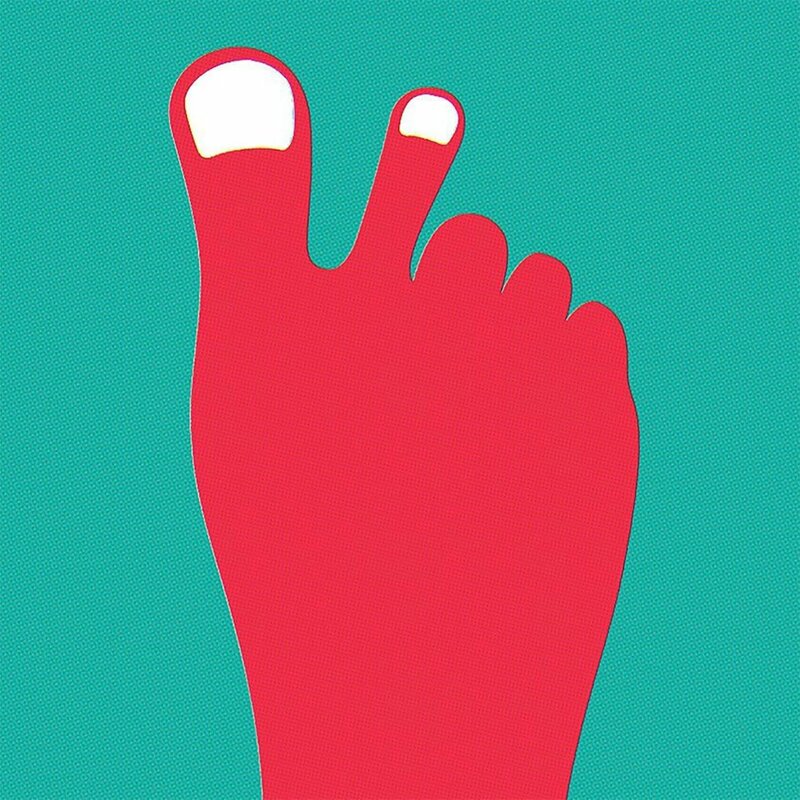 To reinforce Havaianas’ playful image, a giant sandal over 138 feet and weighing over 4 tons was created to be used in the Havaianas TV commercials. 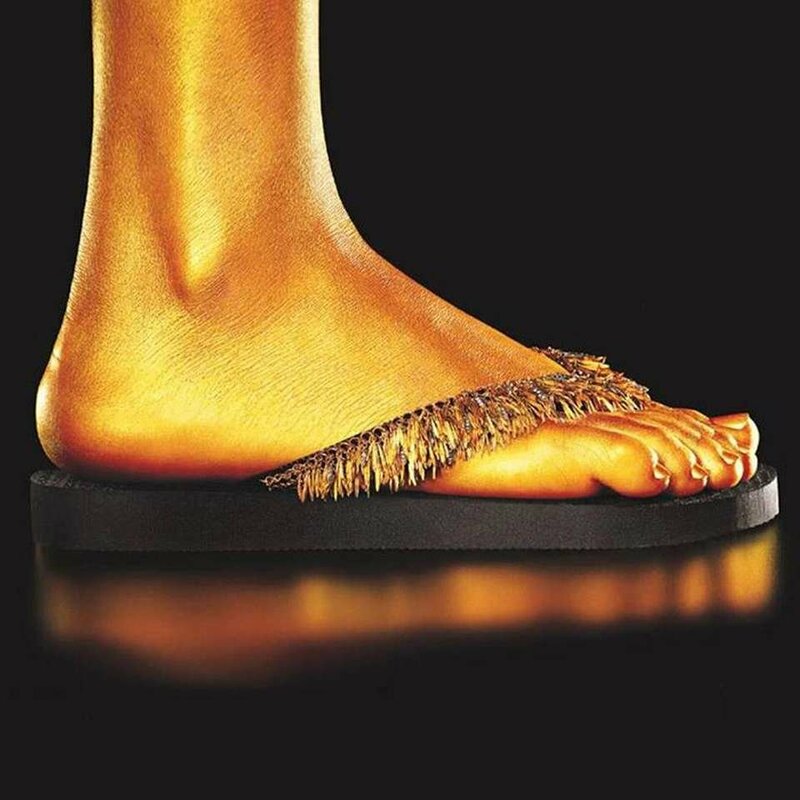 Many different celebrities were featured in the commercial “walking” over the giant Havaianas sandal. 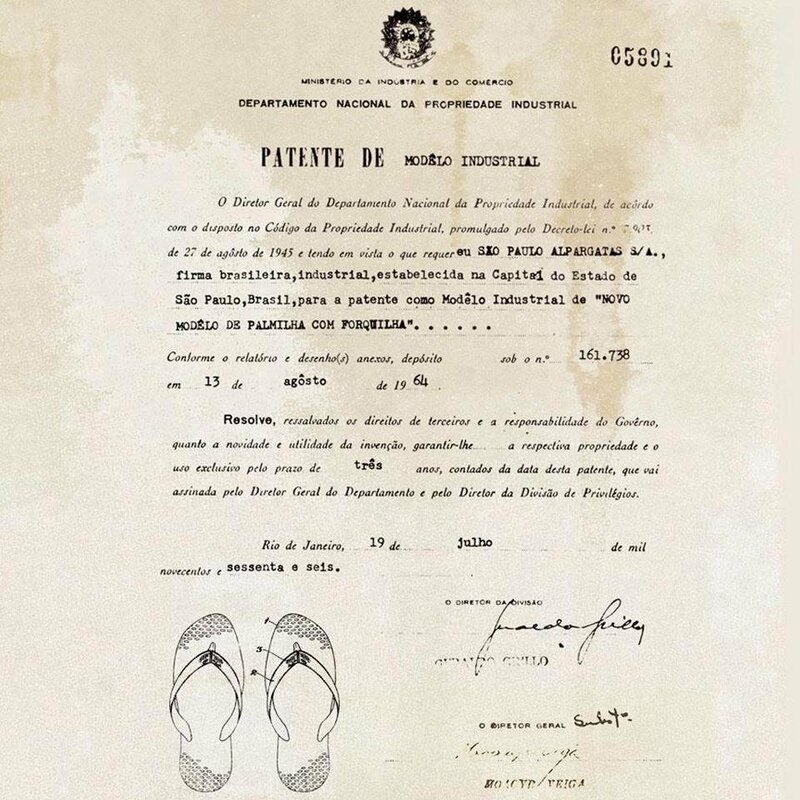 Havaianas officially became a fundamental part of Brazilians’ lives. 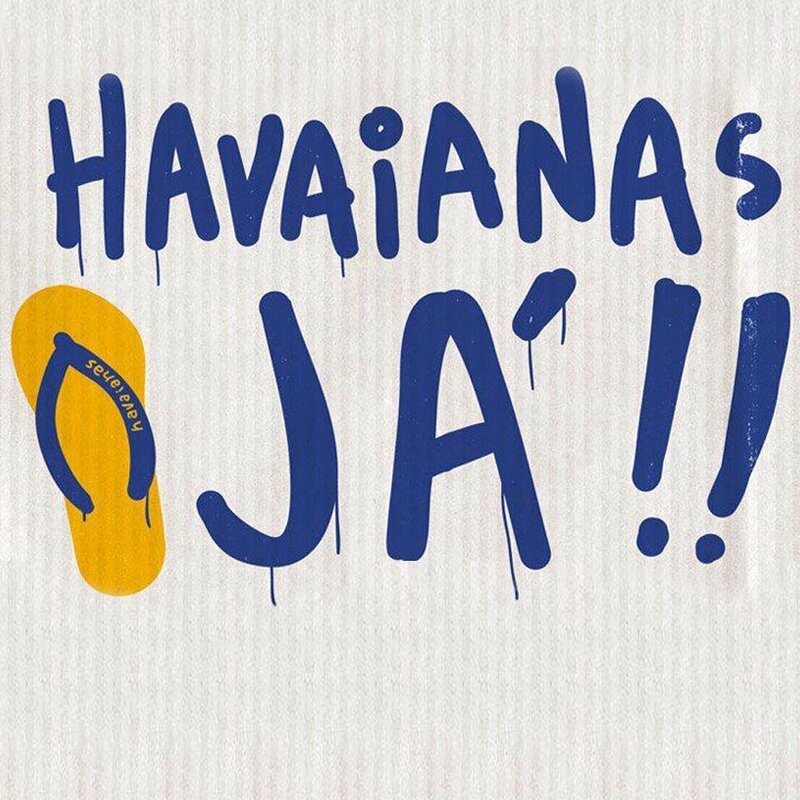 By this time, millions of pairs of Havaianas were sold each year and Havaianas became already a basic for all Brazilians. In fact, they were even listed by the Brazilian government in a list of fundamental products to control inflation, just like rice and beans. Havaianas are worn by all! Between the anonymous and the famous, everyone wears them. Suddenly, Brazilians were snatching them up in multiple shades for all occasions. The 90’s were a turning point for the brand. The trend of turning the Havaianas white side downwards, leaving the colored part up, created sandals that seemed to have just one color. This was the inspiration for the launch of the Havaianas “Top” style. 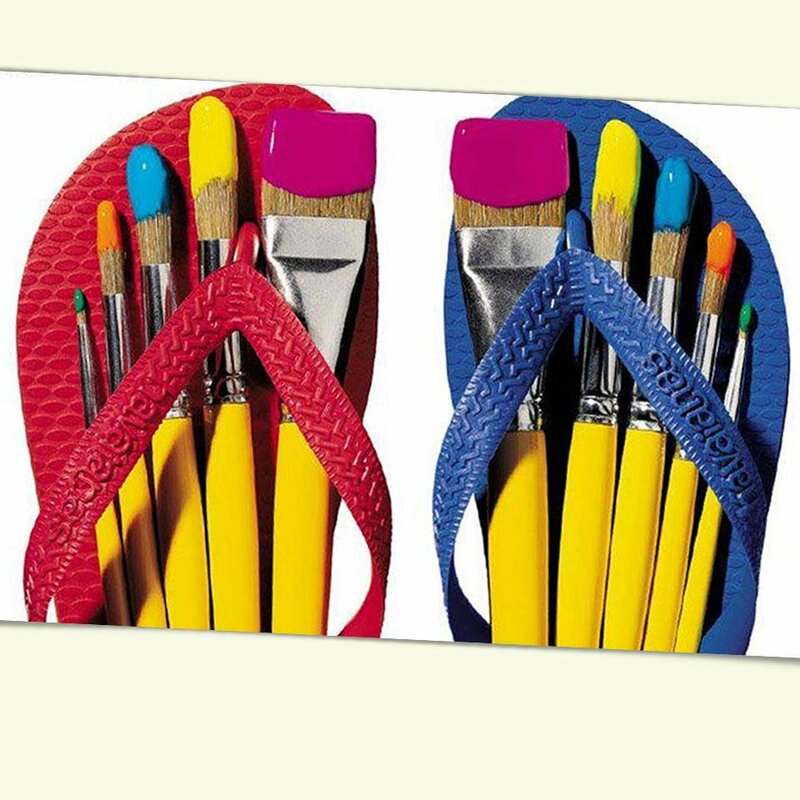 Initially there were only 8 different shades, now the Havaianas “Top” style is available in over 15 different colors. 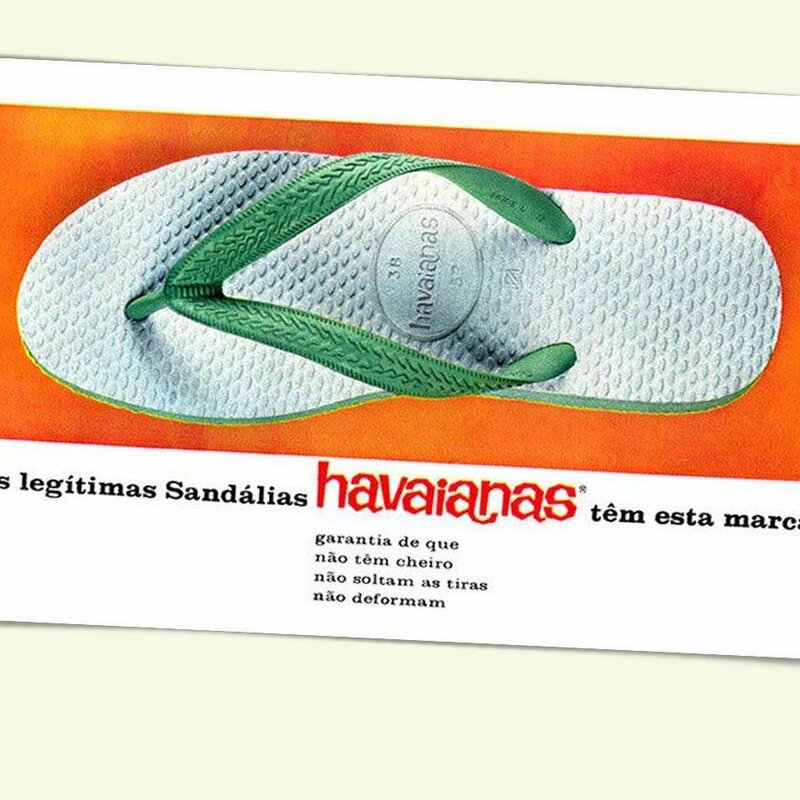 The ’98 World Cup birthed of one of Havaianas best selling and notable styles—the “Brasil”. 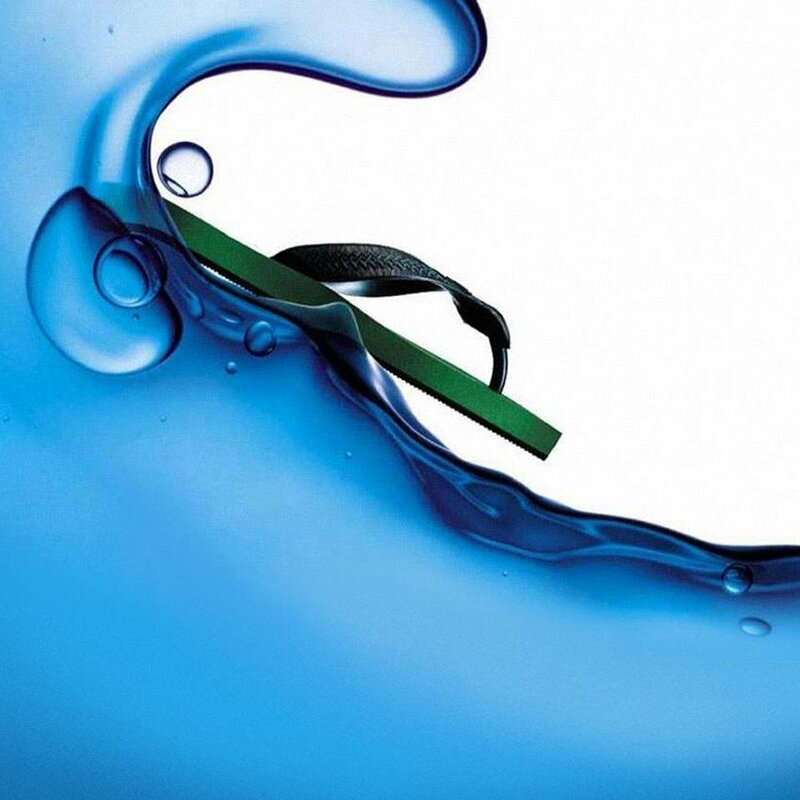 To celebrate the ‘98 World Cup, Havaianas launched a style with a small Brazilian flag on the strap which soon became an object of desire internationally. 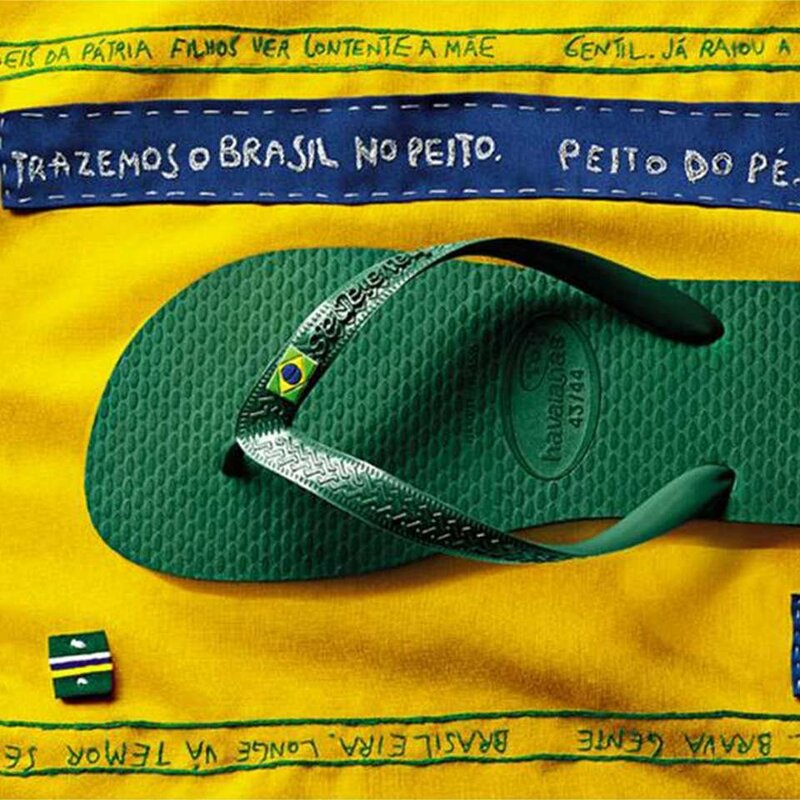 Though the Brazilian Team lost the cup, Havaianas won big-time. Now a prized symbol for Brazil, Havaianas begins crossing over to other countries– literally packed into tourists suitcases. While some would take them home as gifts, others would bring them back to sell. And just like that, Havaianas organically began its international expansion. 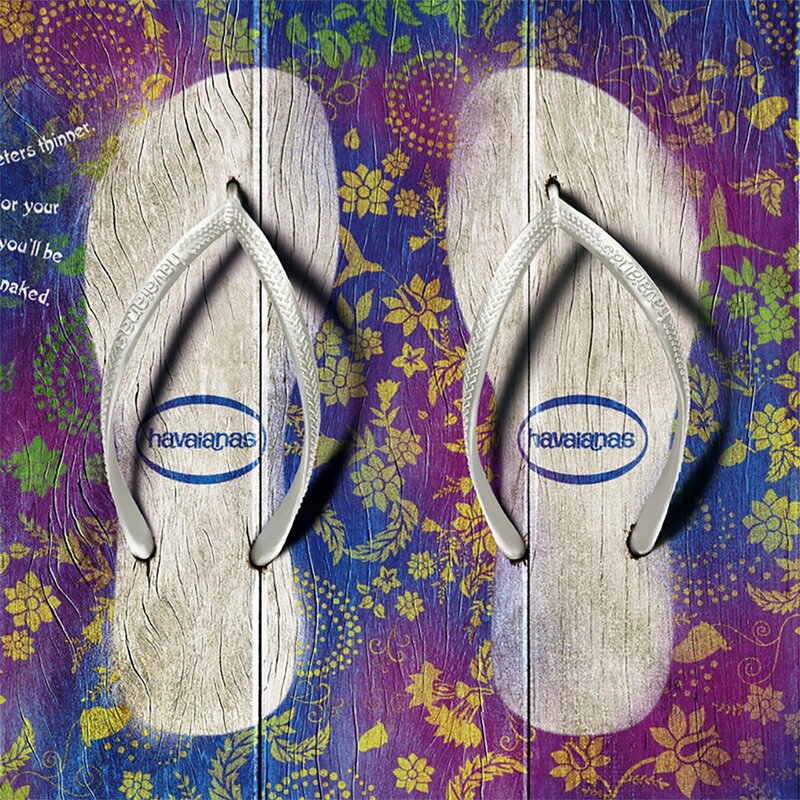 Havaianas transcends being a household staple to making its own mark in the world of high fashion. 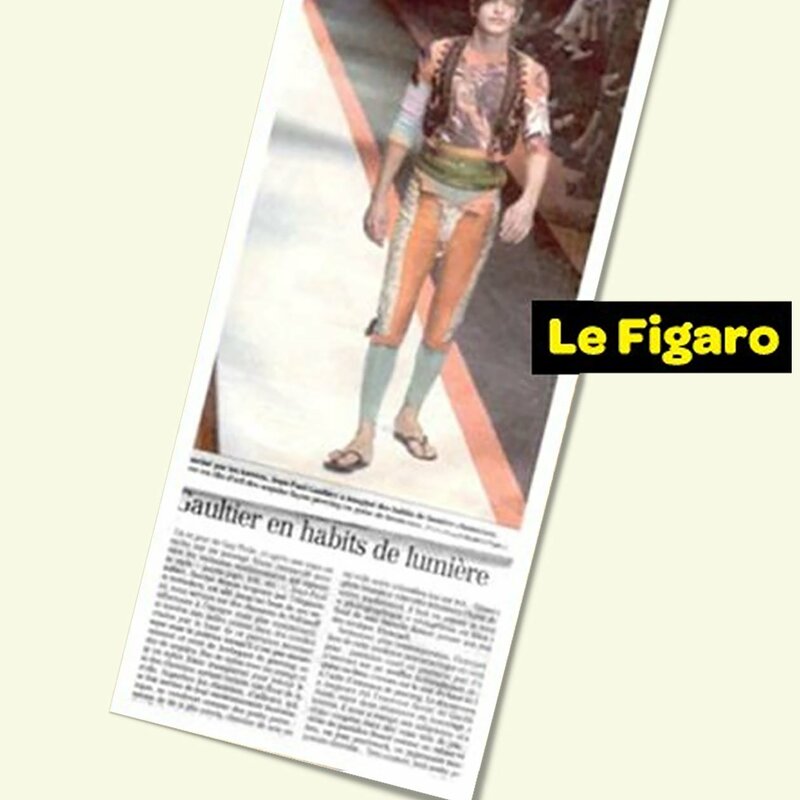 First seen on the runways of the French designer Jean Paul Gaultier show, Havaianas soon begins working with some of the biggest and greatest brands and designers from around the world. 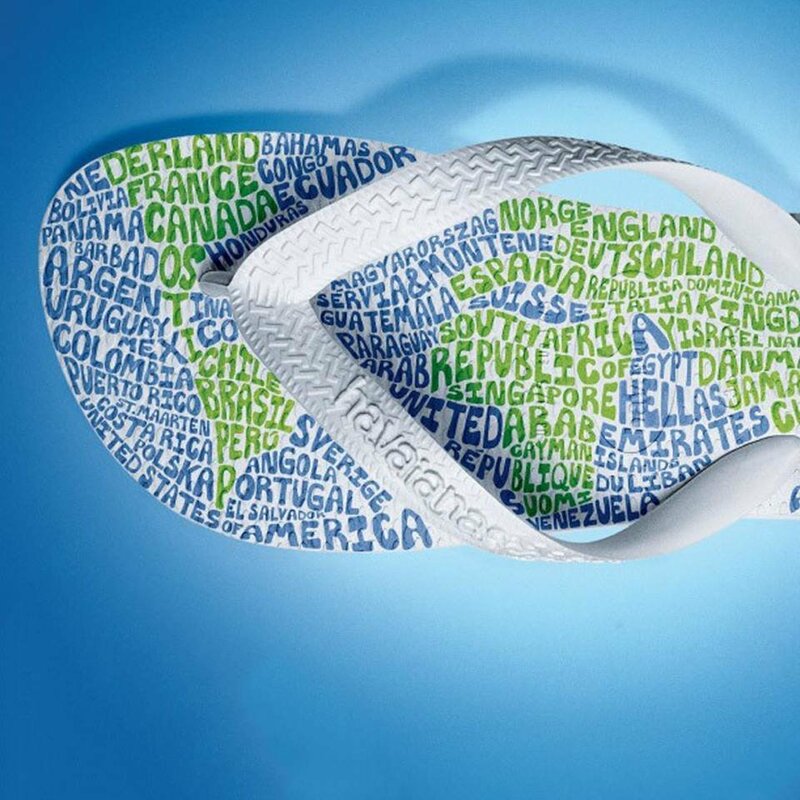 Havaianas rapidly spreads throughout the world and they begin being officially distributed in Spain, Portugal, Italy, France, England, USA, Dominican Republic and Japan. Nowadays, Havaianas can be found in more than 60 countries. 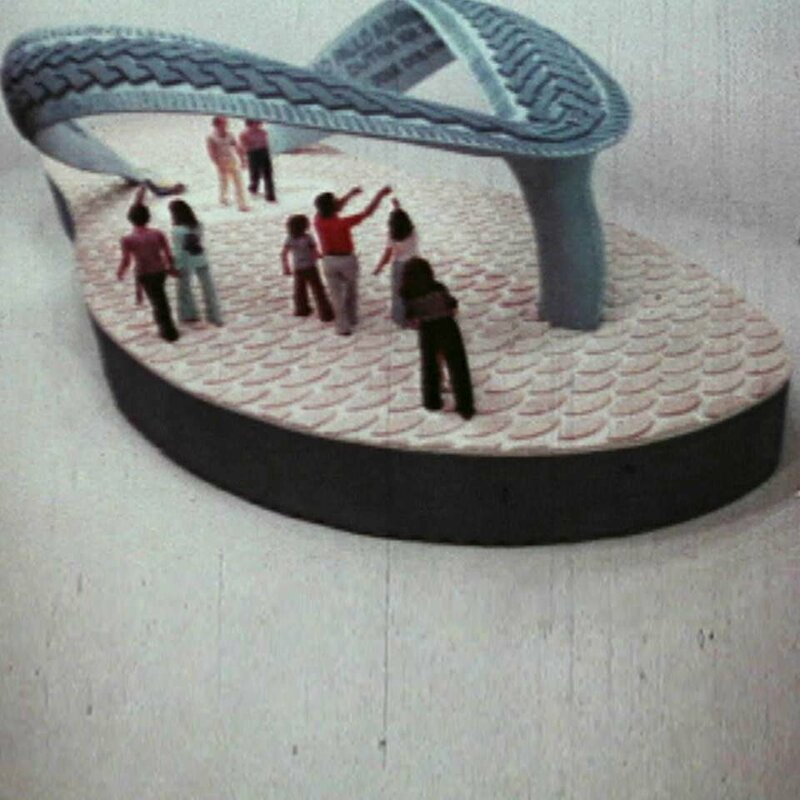 Between the threat of the Millennium bug and anxiety for the year 2000, Havaianas created a special model to mark the occasion. It was the first sandal that glowed in the dark. The birth of Havaianas Special Collection further marked Havaianas place in the world of high end fashion. The Special Collection Havaianas feature exclusive details such as crystals and metal meshes which are hand-sewn by artisans in Northeast Brazilian. They are truly a unique and sophisticated collection expertly crafted by Brazilian hands. 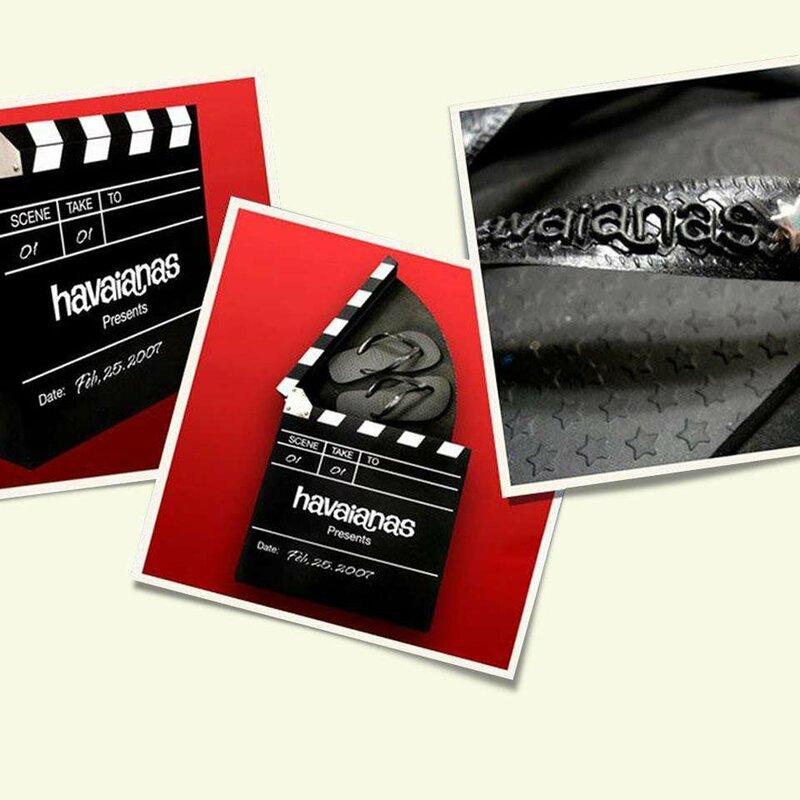 And the Oscar goes to... Havaianas, which begins gifting the world’s most prestigious award show in the world by offering a pair to the nominees as a gift. There’s nothing better than slipping on a pair of Havaianas after hours in high heels and tight shoes. 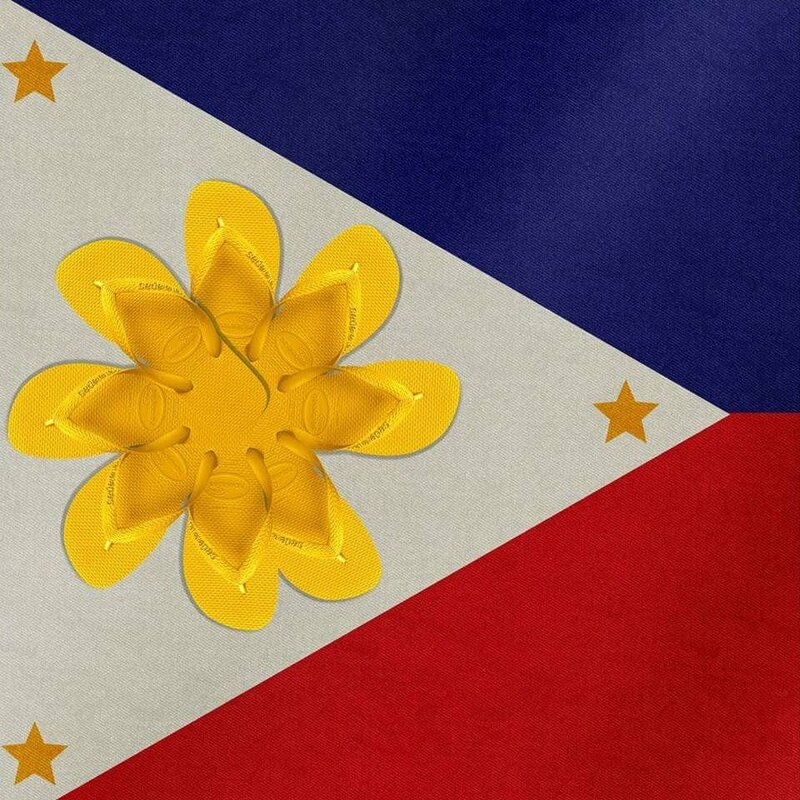 The Havaianas phenomenon spreads to the Phillipines as well! Once something just for the beach, Havaianas soon becomes a symbol for fun, fashion and casualness in this island country. In 2004, Havaianas partnered with the famous Brazilian jeweler H.Stern to create a special edition flip flop with 18K-gold finish and diamonds. Havaianas starts surfing in the Indian Ocean initially at the Mauritius islands. Today, they can be found at any resort in Seychelles, Mayotte and Maldives. Casual Fridays take on a new meaning in Brazilian as students from traditional schools in São Paulo protest for the right to wear Havaianas to class. In fact, some offices even instituted Friday’s as Havaianas Day. In Australia, Havaianas breaks a record and enters the Guinness Book for the first time. In an annual challenge, thousands of Australians gather on the beaches of the country with they purchase rafts in the shape of Havaianas flip flops to form the longest line of the kind in the world. The sum received is reverted to social projects. Arriving on the scene for the first time is the Havaianas “Slim” style. With a thinner and more delicate strap, women everywhere immediately fall in love with this timeless style. How do you say Havaianas in Taiwanese? 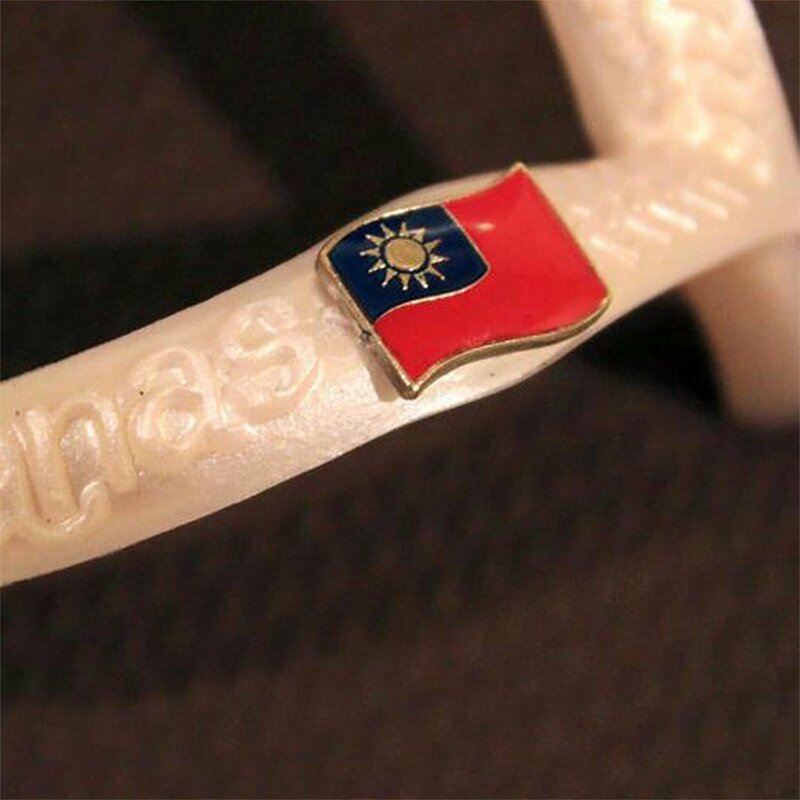 Havaianas launches in Taiwan and while the people there find it impossible to pronounce Havaianas, it doesn’t matter—they understood it all when they sliped them on. Havaianas officially launches in the US and permanently opens an office in Soho, NY. Havaianas opens its headquarters in Spain. 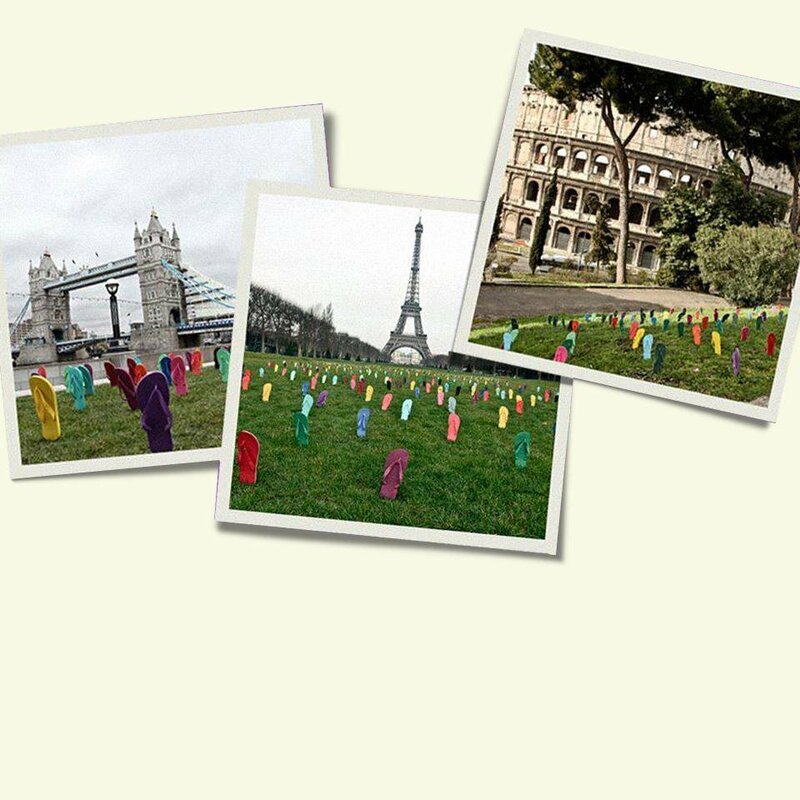 Today, it also has offices in Portugal, France, England and Italy. Havaianas partners with Conservation International to help support conservation projects in the Abrolhos archipelago. 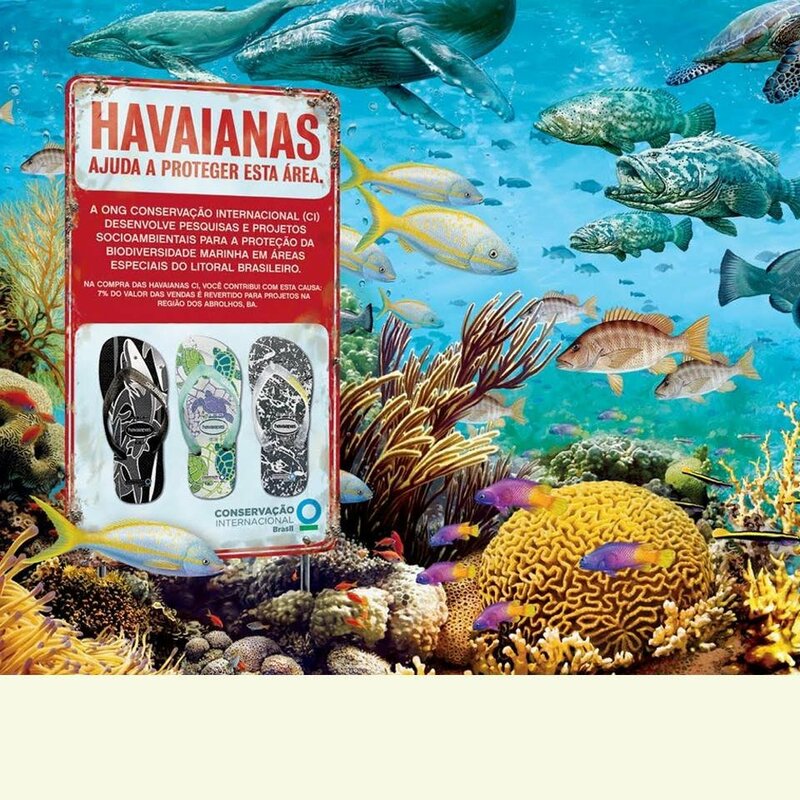 To bring the partnership to life, Havaianas creates special flip flops with 7% of the sales devoted to the organization. 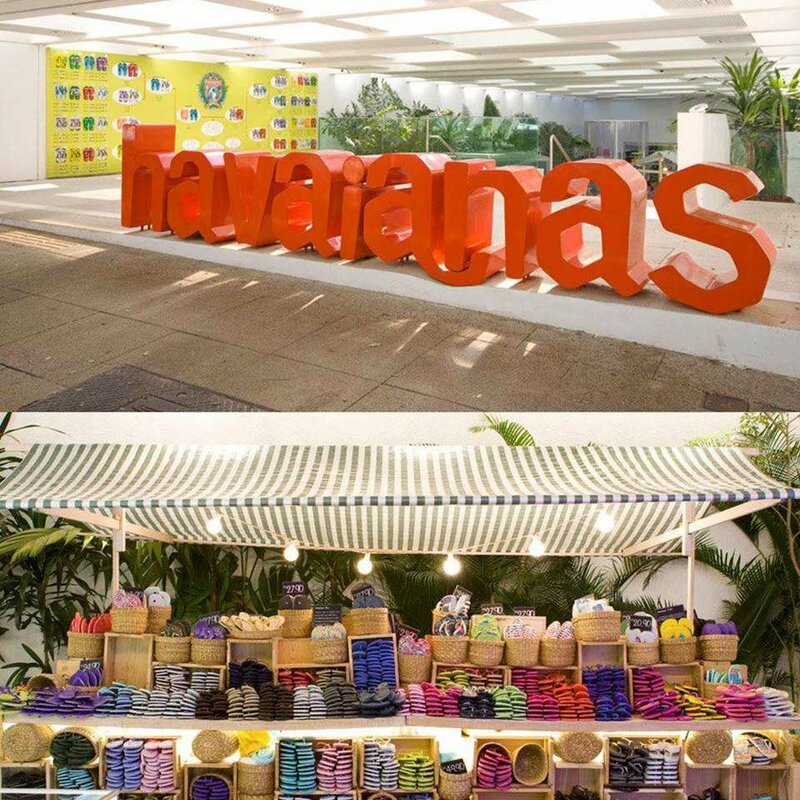 Havaianas opens a Concept Shop Space in São Paulo’s most infamous shopping destination, Oscar Freire Street. Themed after a Brazilian Mercado market stand, the Flagship Store carries the entire collection of Havaianas as well as exclusive styles. 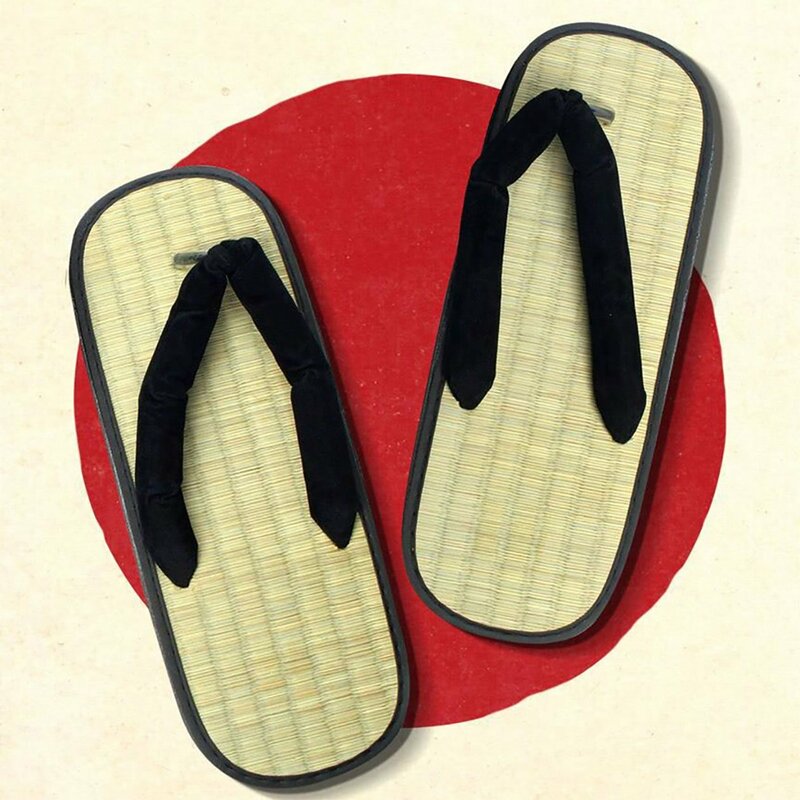 While Brazilians can wear Havaianas all year round, some others from different countries are not as fortunate. 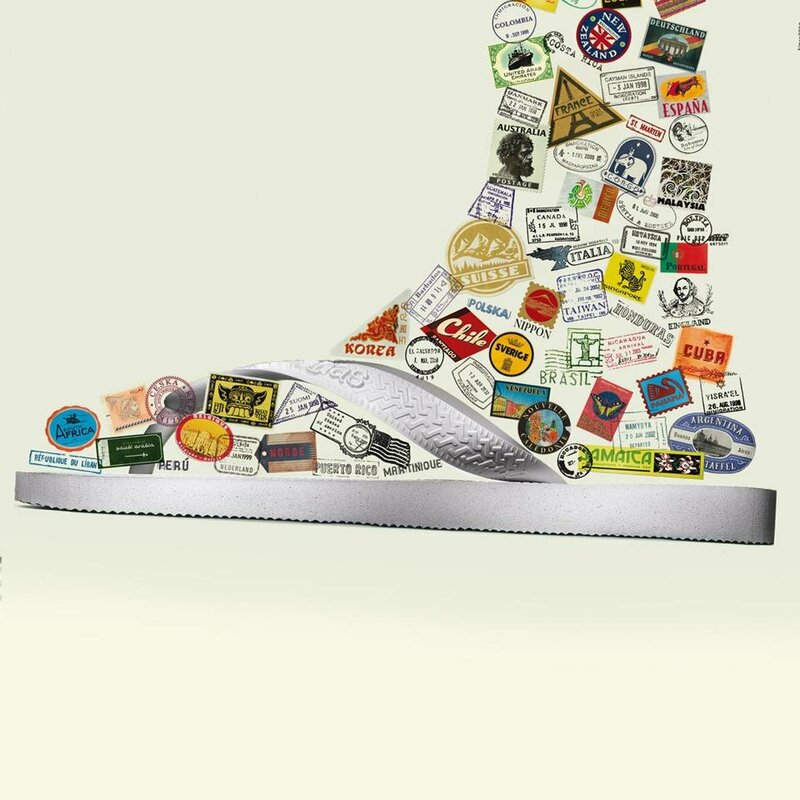 With that in mind, Europe launched the Havaianas Soul Collection – a range of casual sneakers and espadrilles with “Havaianas’ soul”, the rubber flip flops, translated into the sole of the shoes. 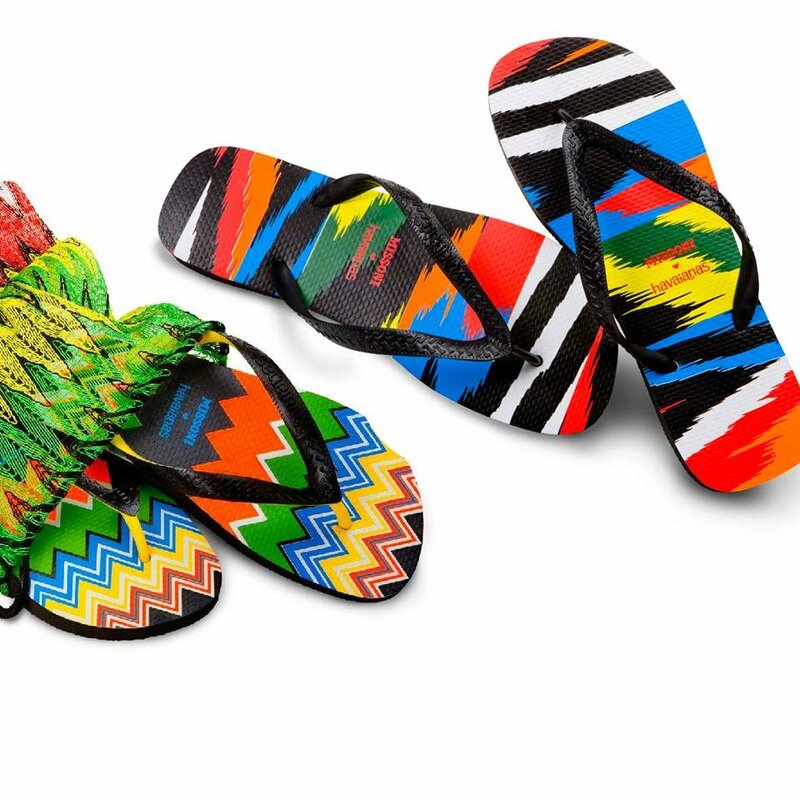 Havaianas partners with the high-end Italian fashion brand Missoni to create a limited edition collection of flip flops and an espadrille. The partnership is highly successful and the collection immediately sell-out. 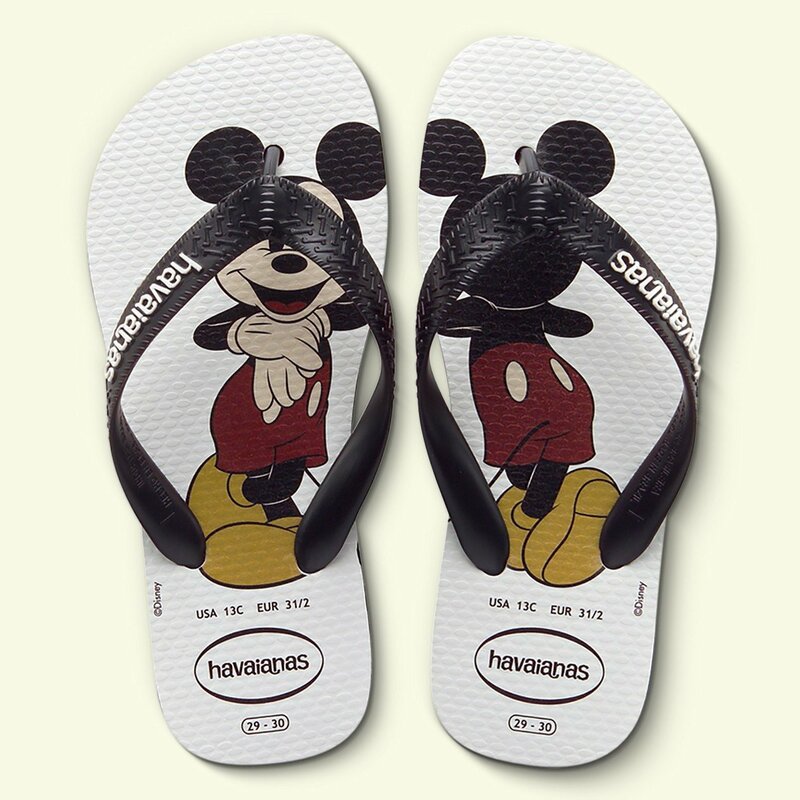 Havaianas reveals a magically new fashion collection with Disney with exclusive models featuring beloved Disney characters.